On 14th September HART was honored to hear the incredible stories of Dr Sasa in the House of Lords. 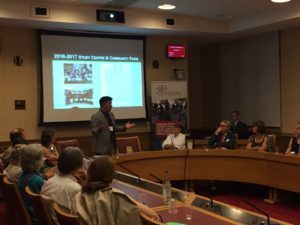 The Event was organised by Health and Hope and the doctor was introduced by our founder Baroness Cox who has worked closely with him since 2005 in order to help him set up his Health and Hope clinic in Chin State. Dr Sasa then shared his amazing personal accounts of the team’s response to cyclone Komen last year as well as an insight into his life and first meeting with Baroness Cox. 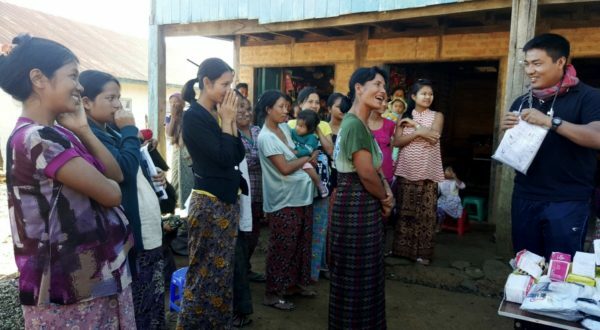 The participants were also treated to a general update of Health and Hope’s work and activities in the Chin & Rakhine states, including the news that Dr Sasa was interviewed on a Burmese television station. The hosts of the event, Health and Hope, were founded in 2009 but the story of the organisation begins much earlier. After deciding to study Medicine in Armenia, villagers donated everything they could from cows to chickens to help Dr Sasa become the first medically trained doctor in the State. After Dr Sasa had been trained and worked with HART to expand his clinic, the charity Health and Hope UK was established in 2012 as a dedicated UK charity for Sasa’s visionary work.